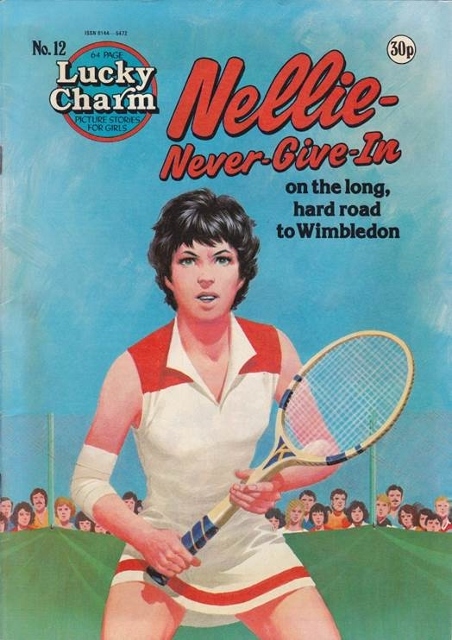 To round off this most tennis-y of weekends here are the most tennis themed covers I could find, both are Lucky Charm covers....this 30 issue reprint series is hard work to track down, certainly harder work than it's 'brother' paper Red Dagger. It's worth it though for an introcduction to girls comics and a snapshot of stories that are not likely to be reprinted any time soon. 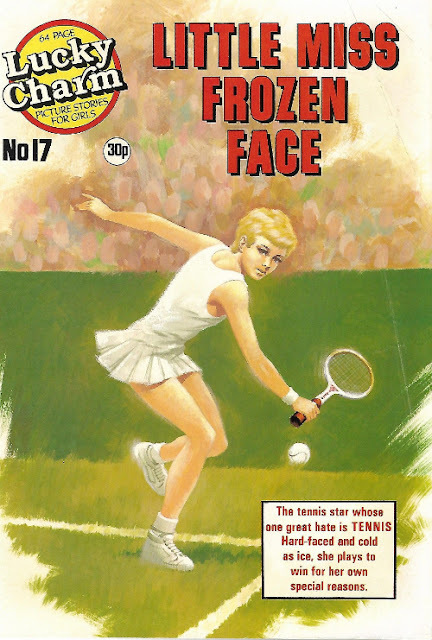 And the Ian Kennedy covers (like issue 12 below), did I mention the Ian Kennedy covers? Great stuff, I have the first two issues, and never seen any since, so thats a great website link, Thanks!